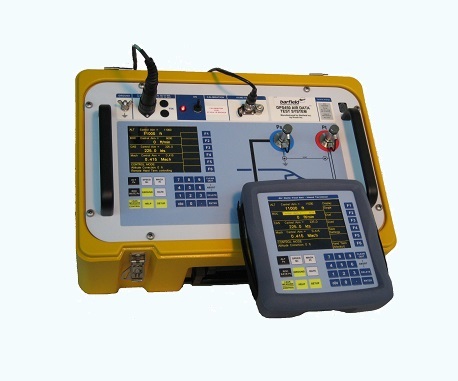 Aero Express is an Authorized Distributor for the Barfield DPS450 Digital Air Data Test Set. Aero Express will buy, sell, trade, and rent the DPS450 depending on your needs. The DPS450 completes an entire line of Barfield Digital Pitot-Static/Air Data testers. Designed to minimize aircraft downtime, the DPS-450 is one of the lowest cost fully automated Air Data Testers meeting the high accuracy demands of Reduced Vertical Separation Minimum (RVSM) specifications on the market. Express Calibration is an Authorized ISO-17025 Calibration and Repair shop for the Barfield DPS450. Visit www.expresscal.com for full capabilities.